This episode is SO fun! I interviewed podcast hosts – JoJami and Lana – the hosts of Ladies Road Map – a podcast that talks about the issues that women face in the second half of their lives! This conversation is so fun. They tell me about some of the most interesting episodes of their own podcast (see below for a list of some of their faves). We also talked about how as we get older, we become more self aware – and as women, we really need to take more time to journal, meditate, and really reflect on who we are, and who we want to be. 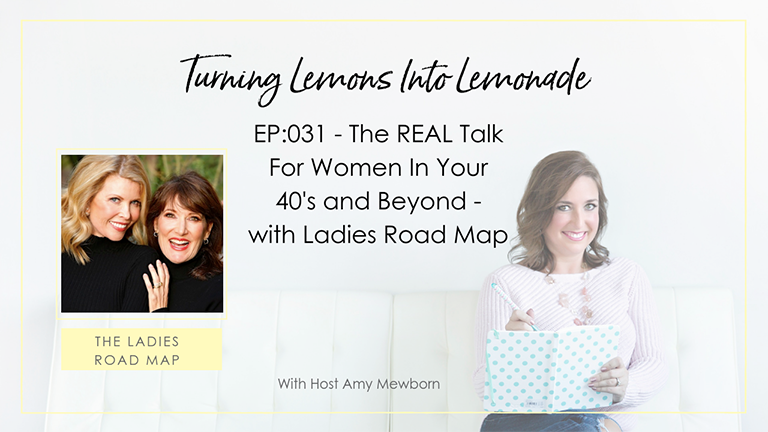 Hear this episode with Lana and JoJami of Ladies Road Map. Check out their podcast and their new journal!